At the end of primary fermentation a wine press will generally be used to seperate out the solids (grape skins or fruit pulp) from the liquid. As the press is loaded with pulp, the 'free run' liquid will run out of the press and all of the solids will be held back by the press basket. 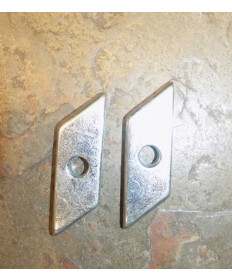 Once the free run wine or juice stops flowing out of the press, pressure can be applied using either a ratchet mechanism or screw mechanism depending upon the type of wine press used. 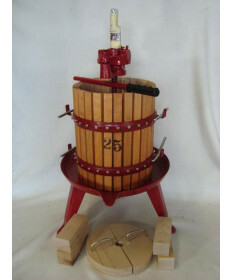 For the small scale home winemaker (five gallons or less), a tabletop press such as the Marchisio Table Press will make short work of pressing grapes and fruit. 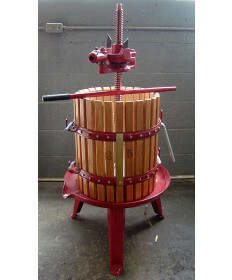 For those winemakers producing more than 5 gallons at a time, we recommend a medium sized grape press such as our #25 Basket Press or the larger #30 Basket Press. 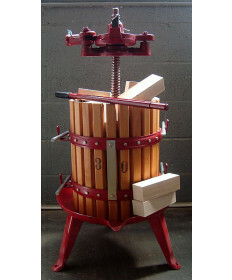 For the serious winemaker making more than 15 or 20 gallons at a time, we recommend the #35 Basket Press. 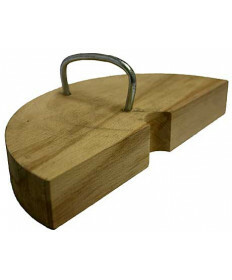 The winemaker will also find that a Must Scoop is a valuable tool for loading the press with the fermented must. Depending on the type of must to be pressed, a Pressing Cloth can be used to line the inside of the press basket which will keep more fruit pulp inside the basket and less material squirting through the wine press basket. Below you can find a table that describes the number of pounds of grapes that will fit into a given size grape press. Note that the press number (#) indicates the diameter of the press basket in centimeters. Contact Us if you have questions about any of our wine presses.